Reasons are not yet clear. 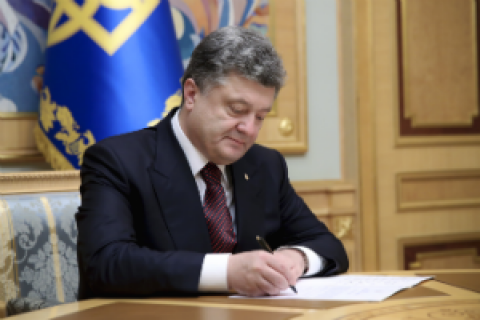 Ukrainian President Petro Poroshenko has vetoed a bill on amnesty in 2016, which would apply, among others, to people involved in combat actions to defend Ukraine's sovereignty and territorial integrity. The Ukrainian parliament's official website said it received the bill back along with the president's amendments on 17 August 2016. It was reported earlier that parliament had passed the bill on the whole on 7 July 2016 by 247 votes. The legislation stipulates that amnesty could be applied to the most vulnerable categories of convicts, including minors, women, men having children aged up to 16 or disabled children; individuals having disabilities of the 1st, 2nd, and 3rd degree, individuals having tuberculosis or cancer, individuals of retirement age, and those who defended Ukraine's sovereignty and territorial integrity and were directly involved in the antiterrorist operation in Donbas. The key criteria for applying amnesty, in line with the document, are insignificant public danger of a crime committed by an individual serving their time and objective factors such as a serious illness or an advanced age. The bill lists categories of convicts to whom amnesty cannot be applied; namely, this includes individuals "who committed grave and especially grave crimes and individuals who committed a crime in abusing their office (corruption-related crimes)." MP are currently on vacation until 6 September.